This is Albert Pikes’ 861 page volume of ‘lectures’ on the esoteric roots of Freemasonry, specifically the 32-degree Scottish Rite. Until 1964, this book was given to every Mason completing the 14th degree in the Southern jurisdiction of the US Scottish Rite Freemasons. Masonic lectures are standard oral presentations given during initiation to a new degree. Lectures provide background material for initiates and the discuss duties of the degree in general terms. Pike states right off that half of the text is copied from other works. Unfortunately none of these quotes are properly cited, and in most cases it is only a shift in style, which allows us to identify a quote. There are also lapses of fact and logic. So it would be a mistake to use this work as an authoritative source without additional research and critical thinking. 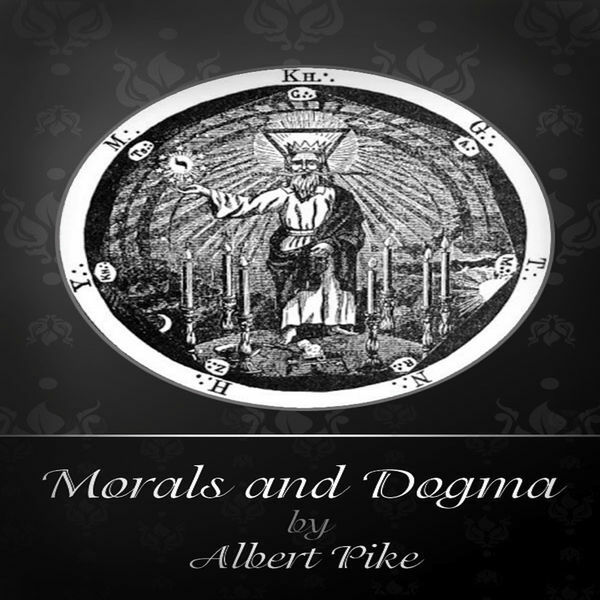 That said, Morals and Dogma is a huge, rambling treasure house of esoteric data, particularly on the Kabalah and ancient Mystery religions. Whether you just browse these pages or study it from one end to the other, this is a must-read book for anyone looking for long-lost knowledge. This work has been prepared by authority of the Supreme Council of the Thirty-third Degree, for the Southern Jurisdiction of the United States, by the Grand Commander, and is now published by its direction. It contains the Lectures of the Ancient and Accepted Scottish Rite in that jurisdiction, and is specially intended to be read and studied by the Brethren of that obedience, in connection with the Rituals of the Degrees. Pike was born in Boston, Massachusetts, son of Ben and Sarah (Andrews) Pike, and spent his childhood in Byfield and Newburyport, Massachusetts. His colonial ancestors included John Pike, the founder of Woodbridge, New Jersey. He attended school in Newburyport and Framingham until he was 15. In August 1825, he passed entrance exams at Harvard University, though when the college requested payment of tuition fees for the first two years, which he had successfully challenged by examination, he chose not to attend. He began a program of self-education, later becoming a schoolteacher in Gloucester, North Bedford, Fairhaven and Newburyport. He then began to study law and was admitted to the bar in 1837, selling the Advocate the same year. He was the first reporter for the Arkansas supreme court and also wrote a book titled The Arkansas Form Book, which was a guidebook for lawyers. Additionally, Pike wrote on several legal subjects and continued producing poetry, a hobby he had begun in his youth in Massachusetts. His poems were highly regarded in his day, but are now mostly forgotten. Several volumes of his works were self-published posthumously by his daughter. In 1859, he received an honorary Master of Arts degree from Harvard. Pike died in Washington, D.C., aged 81, and was buried at Oak Hill Cemetery. In 1944, his remains were moved to the House of the Temple, headquarters of the Southern Jurisdiction of the Scottish Rite.